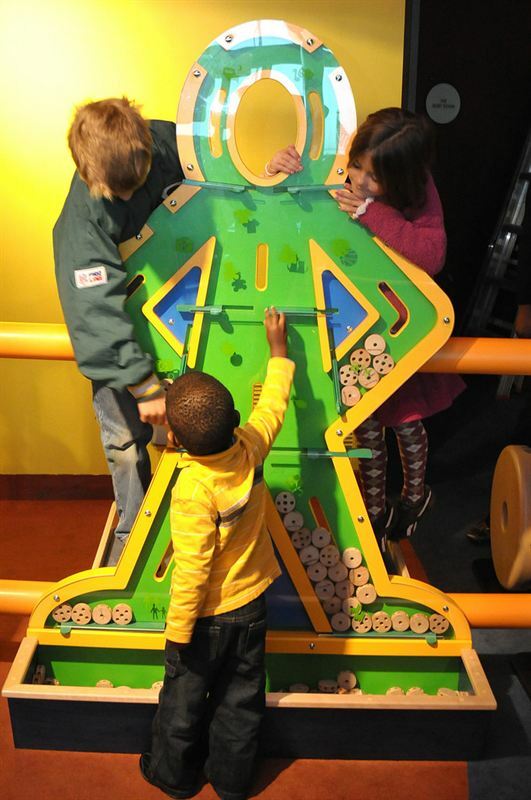 There’s no limit to what kids can do in TINKERTOY®: Build Your Imagination™, a new interactive exhibit targeted to children ages 3-10 that will be at ImaginOn from May 20 to September 10, 2017. 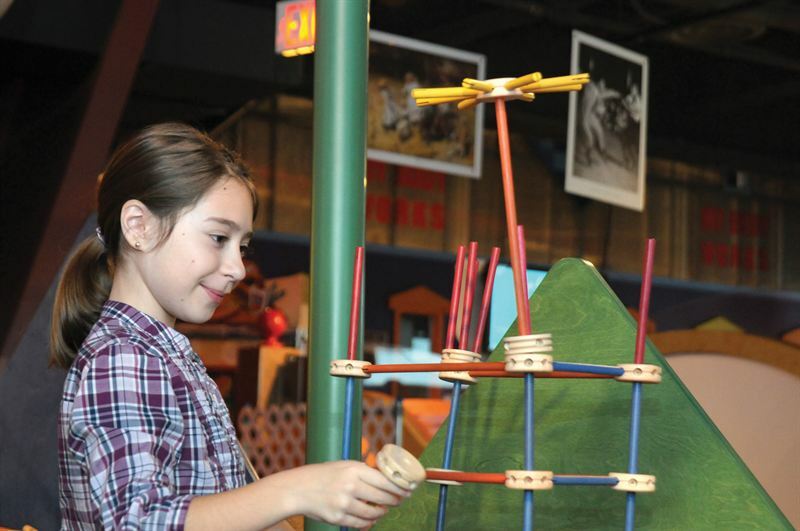 Giant replicas of the classic TINKERTOY construction set provide the framework for fun, educational activities inspired by GE technologies that turn imagination into working solutions to real world challenges. Kids can design, build and work together to make amazing TINKERTOY structures. Experiment with renewable energy and water filtration; create inventions, and build, build, build! The Welcome Gallery - The Welcome Gallery celebrates the 95th anniversary of TINKERTOY through a retrospective of the toy’s history, and highlights GE technologies that improve communities around the globe every day. 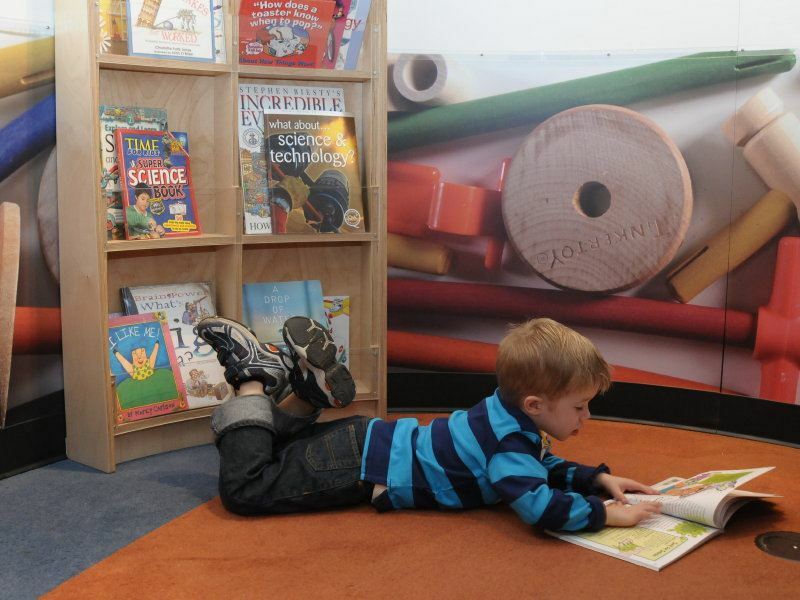 Create – This open play area reserved for children age 3 and older features a spectacular assortment of TINKERTOY pieces – the perfect place to build their imagination. Pictures of remarkable TINKERTOY creations and special tips provide guidance and inspiration. The exhibit is open at ImaginOn (300 E. 7th Street, Charlotte) during building hours: Monday – Thursday from 9 a.m. to 8 p.m., and Friday – Saturday from 9 a.m. until 5 p.m. (ImaginOn is closed on Sundays from Memorial Day to Labor Day for summer hours.) The exhibit will be at ImaginOn from May 20 to September 10, 2017. For more information, see below or call 704-416-4600. Can I bring a group? Yes! Groups are welcome to visit the exhibit after 12 p.m., Monday through Saturday. Reservations are neither required nor accepted and entry into the exhibit is always on a first-come, first-served basis. However, if you wish to combine your visit to the exhibit with any other building-wide activity and have a group a group visit booking is required. Can children visit the exhibit by themselves? Children under age 8 must be with a caregiver at all times. Caretakers should be at least 12 years old and mature enough to follow ImaginOn rules and guidelines. Chaperones are required for all groups visiting ImaginOn and the exhibit. What if the exhibit is full when I arrive? Because visitor safety is our top priority, admittance into the exhibit is limited. This allows guests the ability to fully explore the exhibit at their own pace. If the exhibit is “full,” we have a queuing area where visitors can wait to enter the exhibit on a first-come, first-served basis. We have suggested activities to pass the time while you are in line. 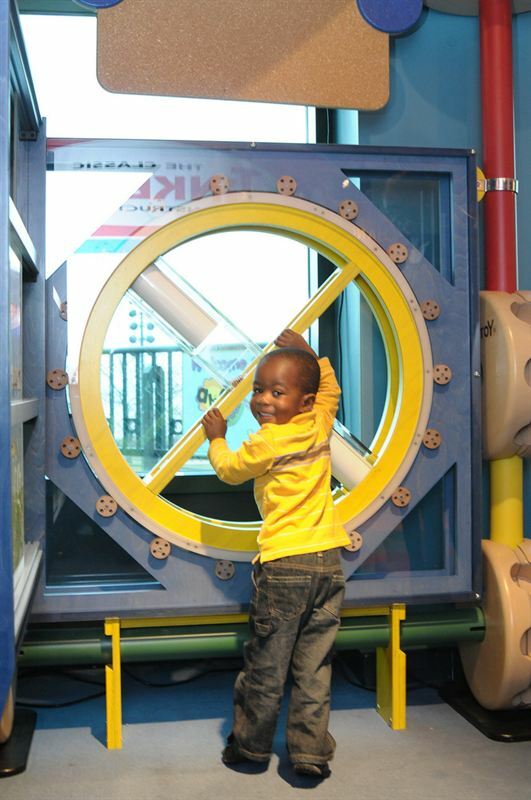 The TINKERTOY®: Build Your Imagination™ exhibit was developed by the Betty Brinn Children’s Museum in collaboration with PLAYSKOOL® and GE. TINKERTOY is a trademark of Hasbro, Inc. and is used with permission. © 2010 Hasbro. All Rights Reserved.